Galba was childless and far advanced in years, and Otho, encouraged by the predictions of astrologers, aspired to succeed him. He came to a secret agreement with Galba’s favourite, Titus Vinius, agreeing to marry Vinius’ daughter in exchange for his support. 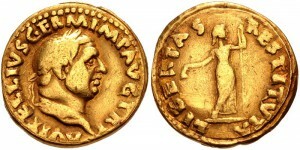 However, in January 69 AD, his hopes were dashed by Galba’s formal adoption of Lucius Calpurnius Piso Licinianus. Desperate as Otho was because of the state of his finances, he found the money needed to purchase the services of some twenty-three soldiers of the Praetorian Guard. On the morning of 15 January, Otho attended as usual to pay his respects to Galba, and then hastily excused himself and hurried from the Palatine Hill to meet his accomplices. He was then escorted to the Praetorian camp, where he was saluted as Imperator. Galba, his newly adopted son Piso and others were brutally murdered by the Praetorians. With the brief fight finally over, Otho returned in triumph to the camp, and on the same day was invested by the senators with the name of Augustus. He accepted, or appeared to accept, the cognomen of Nero conferred upon him by the shouts of the populace, whom his comparative youth and the effeminacy of his appearance reminded of their lost emperor. Nero’s statues were again set up, his freedmen and household officers. Otho soon realized that it was much easier to overthrow an Emperor than rule as one. 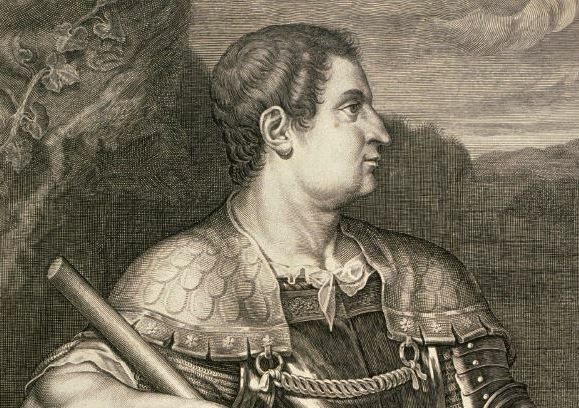 Inheriting the problem of the rebellion of Vitellius, commander of the army in Germania Inferior, Otho led a sizeable force which met the Vitellius army at the Battle of Bedriacum. After initial fighting with a result of 40,000 casualties, and a retreat of his forces, and although Otho was still in command of a formidable force, as the Dalmatian legions had already reached Aquileia and the spirit of his soldiers and their officers was unbroken, he was resolved to accept the verdict of the battle that his own impatience had hastened. In a dignified speech he bade farewell to those about him, declaring: “It is far more just to perish one for all, than many for one“, and then retiring to rest soundly for some hours. Early in the morning he stabbed himself in the heart with a dagger, which he had concealed under his pillow, and died as his attendants entered the tent.